Bottle stops have quickly become a favorite of mine and have proved popular with my clientele! Always enjoyable and with a fun twist. 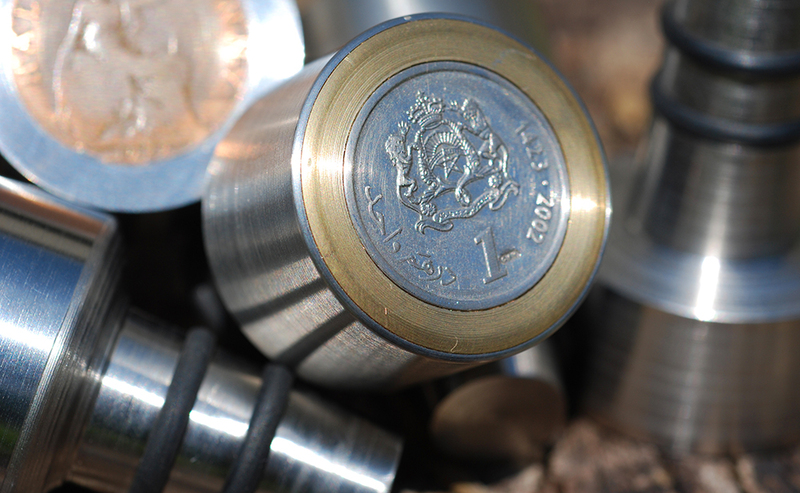 The bottle stops are created from solid stainless steel and inset with most coins, bringing a truly personal touch to the stopper. The corkscrew handle is crafted from solid brass which has a satisfying inweight when held in the hand; one side has an English coin, the other, a French coin. Each piece is presented with its own wooden stand for display when not in use. Both beautiful to use and to admire. ‘Carr’s’ set of two stops and a corkscrew remain a personal favorite. ‘Harrison’s’ was unique: in this piece the challenge was to create a bespoke coin from silver, enhanced with the wedding date, thus boasting a truly unique bottle stop. An assertive piece with a hint of finesse.